(UrduPoint / Pakistan Point News / WAM - 17th Apr, 2019) ABU DHABI, 17th April, 2019 (WAM) – Nearly 100 Kenyan women participants took part in the first-ever training programme organised by the UAE Ministry of Foreign Affairs and International Cooperation, MoFAIC, Youth Council in the Kenyan capital, Nairobi. The UAE’s Ambassador in Kenya, Khalid Khalifa Al-Mualla, and Hashim Mohamed, Principal and CEO Kenya Utalii College participated in the programme titled, "Empowering 100 Women Future Leaders in Hospitality Excellence". The youth circle highlighted the importance of expanding their knowledge and searching for opportunities that help the youth to take the lead in the tourism sector. During the discussion, the participants highlighted some of the challenges facing women and youth in Kenya, such as the lack of vocational training, gender inequality, lack of mentorship and unemployment. Hashim Mohamed said that this platform had opened his eyes on some of the gaps that could be tackled, and he would adopt the idea of holding a Youth Circle to establish a dialogue with the students and guide them to be more effective. He was looking forward to working with the UAE government to share knowledge and build capacity, he added. 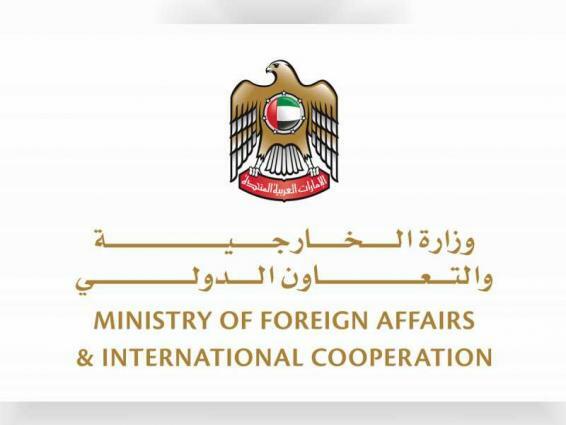 Ahmed Sari Al Mazrouei, Under-Secretary of UAE Ministry of Foreign Affairs and International Cooperation, stressed the importance of MoFAIC’s Youth Council participation, through UAE’s diplomatic missions abroad and said he hoped to organise more youth circle sessions and joint initiatives.